The twenty-first century has opened with a rapidly changing map of Christianity. While its influence is waning in some of its traditional Western strongholds, it is growing at a phenomenal pace in the global South. And yet this story has largely eluded the corporate news brokers of the West. Layered as it is with countless personal and corporate stories of remarkable faith and witness, it nevertheless lies ghostlike behind the newsprint and webpages of our print media, outside the camera's vision on the network evening news. Miriam Adeney has lived, traveled and ministered widely. She has walked with Christians in and from the far reaches of the globe. 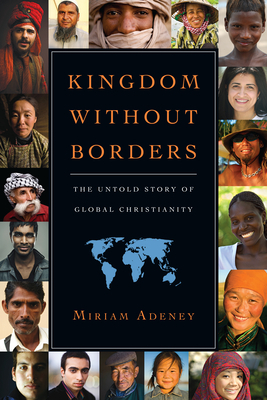 As she pulls back the veil on real Christians--their faith, their hardships, their triumphs and, yes, their failures--an inspiring and challenging story of a kingdom that knows no borders takes shape. This is a book that coaxes us out of our comfortable lives. It beckons us to expand our vision and experience of the possibilities and promise of a faith that continues to shape lives, communities and nations.